The Y.O. 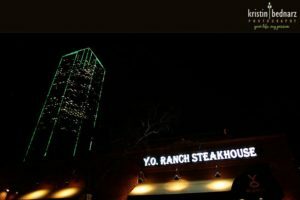 Ranch Steakhouse offers our guests a comfortable and relaxing Dallas event venue to host a gathering in. Conveniently located in Downtown Dallas’ historic West End District, our party rooms are a great choice for any occasion. Whether you’re planning an alumni party, birthday party, retirement celebration, Bar Mitzvah, Bat Mitzvah, graduation event, or a holiday party, our Dallas steakhouse party rooms are sure to impress your guests and leave a lasting impression. Your party guests will enjoy the finest selection of prime-aged beef, excellent selections of fresh fish and fowl, and the largest selection of wild game in Dallas. This includes our legendary Buffalo Filet Mignon which has been featured on the Food Network as “one of the nation’s best steaks.” No matter the size of your party, Y.O. Ranch Steakhouse offers a variety of choices for designing your menu. 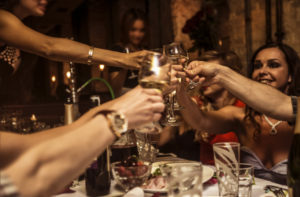 Are you planning a wine tasting or birthday party for 20 of your closest friends? You won’t find a more distinctive and comfortable venue than the Y.O. Ranch Steakhouse’s Longhorn Lounge. Perfect for groups ranging from 20 to 40 for a seated dinner, or up to 60 for a cocktail party; the Longhorn Lounge is beautiful and rustic. This party room features three 36-inch flat screen TVs, compatible with a laptop and DVD for easy entertaining. If you’re hosting a larger gathering, our Lodge party room can accommodate up to 110 guests for a seated dinner or up to 200 for an elegant cocktail party. This Dallas event space features a private entrance and audio/visual equipment (including a 6X8 foot drop down screen) for entertainment purposes. The Lodge is ideal for parties ranging from a wedding reception to an anniversary party or a holiday party. For those occasions that call for the biggest of venues, the doors between the Lodge and Longhorn Lounge can be opened to maximize your party space. This makes it one of the most flexible Downtown Dallas event venues, accommodating up to 150 guests for a sit-down dinner or up to 300 for a cocktail party or reception. Consider the Y.O. Ranch Steakhouse for your special event. 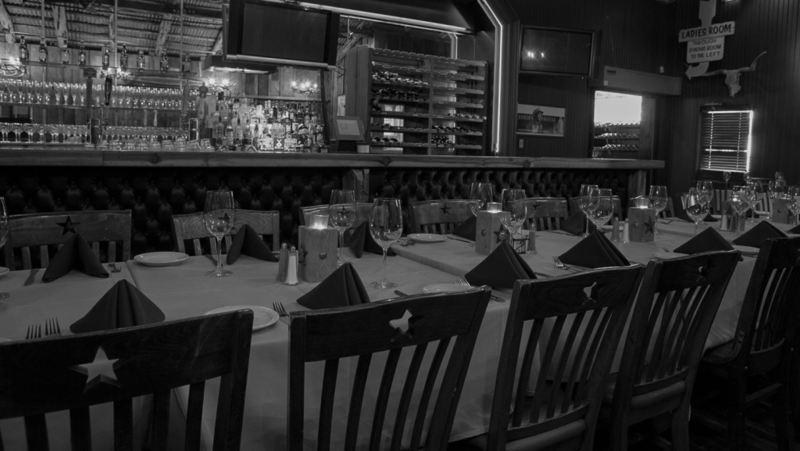 We value each of our guests and will work with you to plan your party and cater to all of your needs. Contact us to reserve one of our Dallas party rooms or tour our event space.